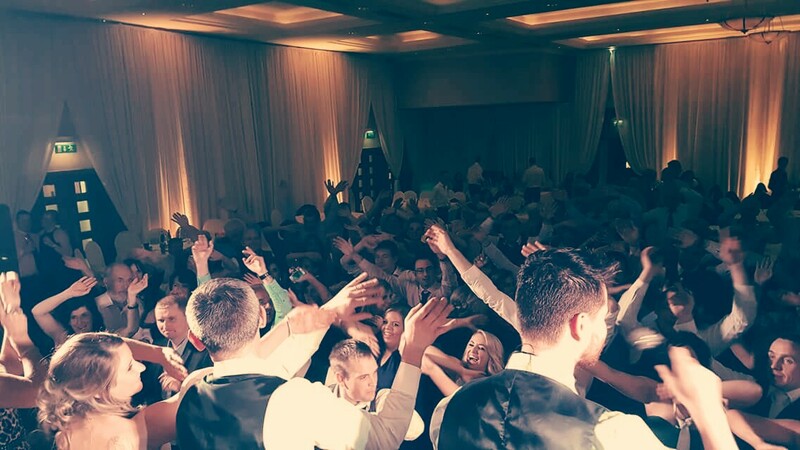 Long Time Coming are Ireland's most sought after wedding and corporate event band. A five piece that boasts some of the best musicians in the country and a frontman rivalled by few (but don't take our word for it, see us perform live at our personalised showcases or any of our public appearances). A highly energetic, fun and entertaining performance is offered for every show, LTC believe that a band are only as good as their last performance, and cater for all age groups and events with a wide and varied choice of music genres, from waltzes to rock, from 60's to modern hits, from rock to pop, from Irish - American and all party classics in-between. LTC consult with brides and grooms, and event planners to discuss set list options and have 20 years experience in the music industry, so know how to read a crowd and judge what best to play. Long time coming provide a professional, hassle free service, and can provide packages which include, ceremony music, pre-dinner entertainment and disco for after the band. 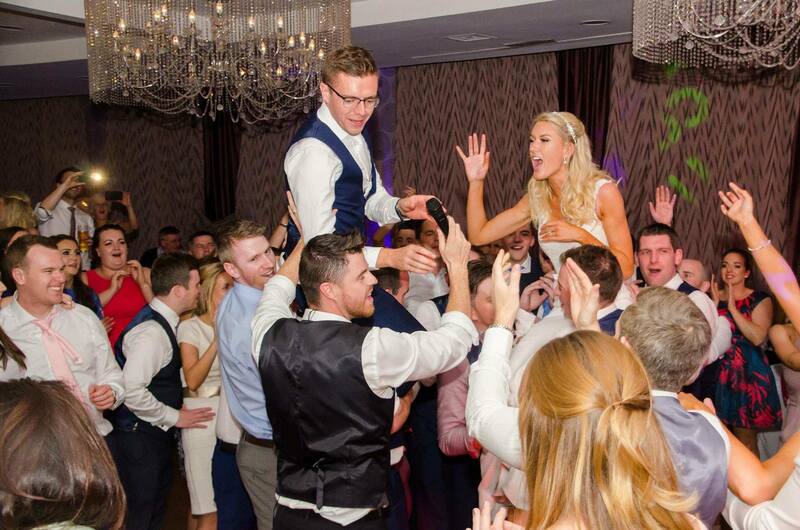 LTC use the best and most reliable equipment for an event and have stage settings to suit any venue big or small, the set-up team are skilled and efficient setting up, so no delays in getting the band to start a bride and grooms 1st dance or opening song for a party/event. "A highly energetic, fun and entertaining performance"
The band's founder and lead singer has been entertaining brides and grooms throughout the country for over 15 years as part of two of Irelands most popular award winning wedding bands, has supported Westlife in the odyssey (now SSE Arena), the point (now 3 arena) and in Millstreet, and sang on numerous TV shows including The Late Late Show, Ireland am, the den, Coulter and company to name but a few. Alan also performed as a backing vocalist on the Eurovision stage in Turkey in 2014 as part of the pop group 'final 4' which featured on the weekly TV show 'You're a Star'. Carmel has been playing the piano from the early age of 8, she has performed at many functions/events. She prides herself in creating excellent sounds for keyboard parts of songs and is also a trained soprano vocalist. The youngest member of the band has been playing the guitar from the early age of 8, he's had great success on the Dublin club scene with college bands and has filled in with a series of cover and function bands. A very accomplished player who enjoys nothing more than to put in a high energy performance for every show. Darragh is also a well sought after session player for numerous recording studios throughout the Leinster area. His cv and reputation continue to grow and grow. Patrick has been playing drums since he was 14 years old and has many years of experience performing at events in a wide variety of styles from Pop and Funk to Jazz to Classical. As well as playing drums he has studied music formally for ten years and works as a composer, pianist, arranger and choral conductor. David has been playing bass for 20 years and is a qualified sound engineer. He has vast experience with many different bands playing in clubs, pubs, weddings and functions throughout his gigging lifetime, the highlight being a session musician on tour with Tom Jones for a 3 month tour in the UK. 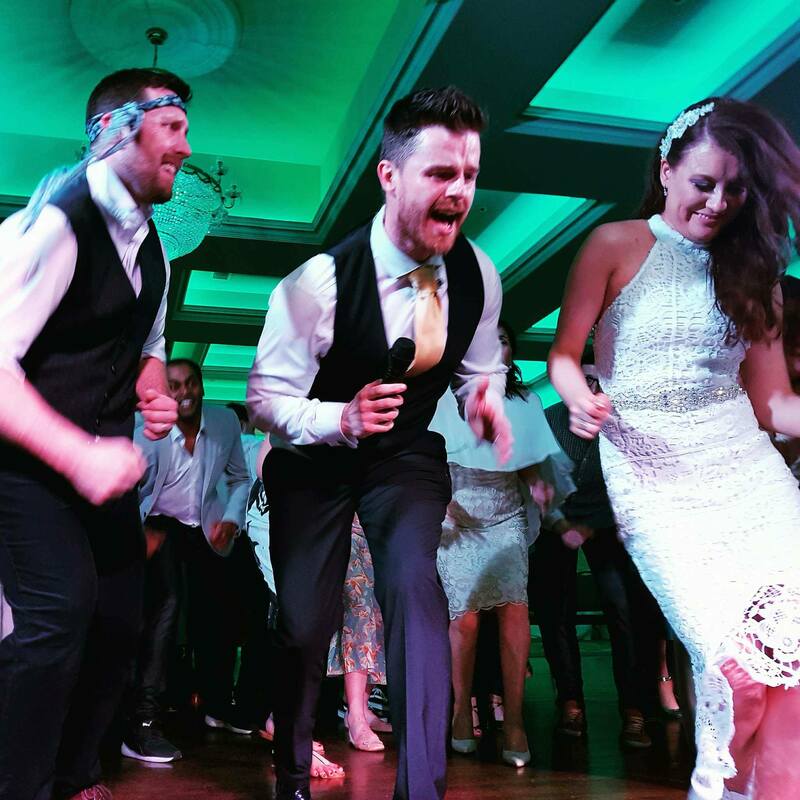 "Great mix of classic and modern songs that kept the dance floor full"
We are married over 6 years now and we still have some of our wedding guests come up to us and say that our wedding was one of the best they have ever been too because the dance floor was full the whole night. It was my one wish that everyone was well entertained on my wedding day and I knew as soon as I heard Alan and his band that they would not disappoint. I can’t recommend them enough and thank them for making our wedding day a happy and memorable one. 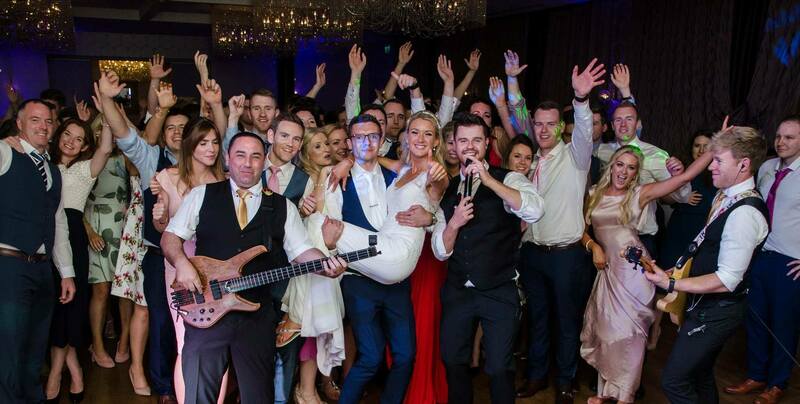 We had Alan Foran performing at our wedding in Cabra Castle in October 2016 and we were really happy with the way the whole day turned out. Alan was fantastic from start to finish. From the moment he started and right through to the last song the dance floor was full and the crowd were shouting for more. Myself and Nicola requested a song for our first dance that he had never performed before and by god he pulled it off as if he wrote the song himself. We would like to say a big thank you to Alan as with your performance you made our day that bit more special. We wish you the all the very best in your new venture.